Danilov & Partners’ Blockchain and Fintech team led by partner Peter Khokhlov advised Qurrex on its token sale which was successfully completed on 30 June 2018. 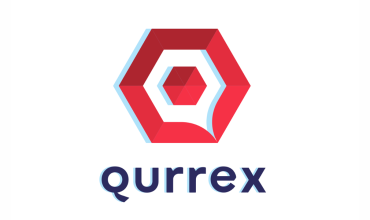 Qurrex is the first hybrid cryptocurrency exchange integrating industrial infrastructure of traditional stock exchanges with decentralized network. Danilov & Partners’ advice covered international legal compliance matters and securities regulation. We helped Qurrex with corporate structuring of token issuance and documents for token sale, including drafting a token purchase agreement and white paper review. “We were happy and excited to guide Qurrex through the legal aspects of its token sale. Meeting people with bright ideas and being involved in innovative projects in the vibrant blockchain and cryptocurrency space really inspires us”, said Peter Khokhlov. “We have already established ourselves as a leading legal advisor on token sales in Russia, one of the top countries in the world in this area. Recently, influential Legal Insight magazine researched 400 Russian law firms and ranked our firm second in terms of number of advisory mandates on initial coin offerings. Furthermore, some of our lawyers co-founded an escrow product, Incremint.io, to serve the digital assets market”, commented managing partner Andrei Danilov.